This KitchenAid Classic 4.5-Quart Stand Mixer drops to just $169.15 when you use the coupon code: CLASSIC at checkout (Retail $259.99)! This is the best price we can find anywhere by $30 for this model. It has 10 speed settings and a tilting head. 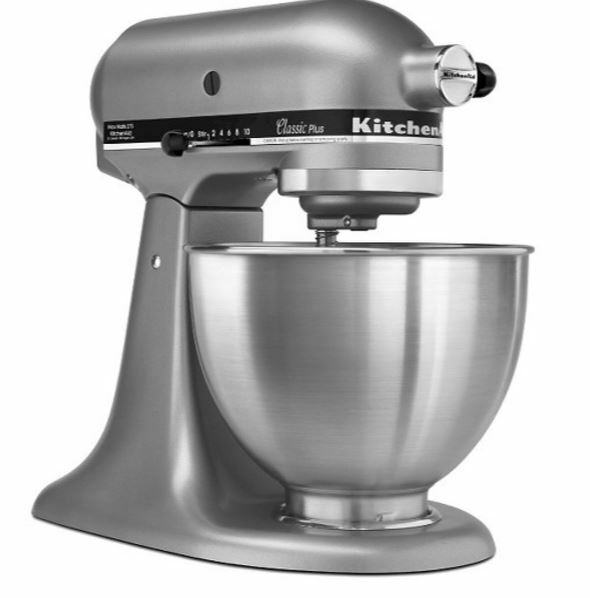 It comes with a stainless steel mixing bowl, dough hooks, a wire whisk, and flat beaters. PLUS don't forget that if you pay with your REDcard you'll receive an additional 5% off of your purchase!